Does HIV Cause Body Fat Changes? Does HIV Make You Fat? 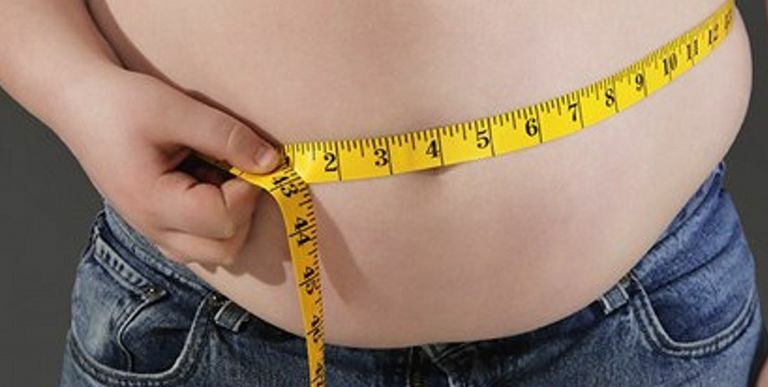 Lipodystrophy, the sometimes unsightly redistribution of body fat, had long been considered a side effect associated with a number of antiretroviral drugs, particularly earlier generation agents like Zerit (stavudine) and Retrovir (AZT). In recent years, other agents have been added to the list of possible suspects, including Sustiva (efavirenz), Isentress (raltegravir), and the class of HIV drugs called protease inhibitors. With that being said, the exact cause for lipodystrophy—either in the way of fat accumulation (lipohypertrophy) or fat loss (lipoatrophy)—remains largely unclear. Increasing evidence has suggested that HIV itself, as well as the persistent inflammation associated with infection, may be key contributors, although until recently there has been little data to confirm this. A 2015 study presented at the Conference on Retroviruses and Opportunistic Infections in Seattle helped some shed light on the subject. According to the research, people with high viral loads at the start of therapy (over 100,000 copies/mL) appear to have a greater predisposition for lipodystrophy than those with lower viral loads. Over the course of the study, patients were given regular CAT and DEXA (dual-energy X-ray absorptiometry) scans to measure changes in body composition. While it had been suspected that the different antiretroviral drugs would affect different outcomes in patients, the scientists were surprised to find that body fat increases were statistically the same for all groups. Overall, body mass increased by 3% to 3.5%, while limb fat increased by 11% to 20% and abdominal fat increase by 16% to 29%. The only measurable difference they could find was in the patients' viral loads. In those with high viral loads, visceral fat (i.e., within the abdominal cavity) increased by an average of 35% irrespective of drug or drug class. By contrast, patients with viral loads under 100,000 copies/mL had gains of only 14% with Isentress and less than 10% with protease inhibitors. Additionally, rises in Interleukin-6 (IL-6), a marker of immune activation, were associated with increases in peripheral fat (i.e., fat immediately beneath the skin). This suggests that HIV-associated inflammation plays a direct role in subcutaneous fat gains, either in consort with or independent of treatment intervention. Regardless of the causes or contributing factors, a visceral fat gain of 30% over two years is serious, carrying with it the long-term risk of cardiovascular disease, diabetes, and dyslipidemia. The findings may provide further evidence as to the benefits of treatment on diagnosis, before either viral loads are elevated or CD4 counts are depleted. McComsey, G.; Moser, C.; Ribaudo, H.; et al. "Body Composition Changes After Initiation of Raltegravir or Protease Inhibitors." Conference on Retroviruses and Opportunistic Infections (CROI); Seattle, Washington; February 23-26, 2015; abstract 140. Virolet, C.: Delhumeau-Cartier, C.; Sartori, M.; et al. "Lipodystrophy among HIV-infected patients: a cross-sectional study on impact on quality of life and mental health disorders." AIDS Research and Therapy. 2015; 12-21:DOI 10.1186/s12981-051-0061-z.